A kitchen remodel is essential during a home remodel because it’s where your client spends lots of time entertaining and cooking. With ProSource® of Grand Rapids, you can transform their kitchen into a space where they’ll enjoy cooking and want to show off while they entertain guests. Design specialists in our Wyoming showroom will ensure your client’s needs and preferences are being met with our products. We hope you’ll take advantage of our resources and better serve your clients! Have your clients always wanted bigger cabinets? Do they know just what kind of cabinet they want in that corner? With our enormous selection of kitchen cabinet wood types, door shapes, and colors, you can deliver exactly what they’re looking for. 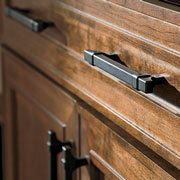 Personalize those kitchen cabinets even further with our wide array of cabinet hardware options. 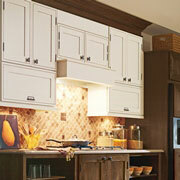 With pull handles, knobs, pendants, and hooks galore, your client can make their cabinets and kitchen uniquely theirs. 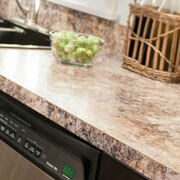 Has your client been wanting a different color or material countertop for a while? We have quartz, granite, recycled materials, and blended raw materials that all make beautiful, long-lasting, and unforgettable kitchen countertops. 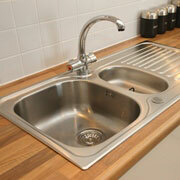 Whether your client is wanting one, two, or three basins, we have kitchen sink styles that’ll work. We have apron-front, standard, and trough styles, more than five different materials, and can provide styles for up to six faucet holes. Customize your client’s sink for function and not just beauty! 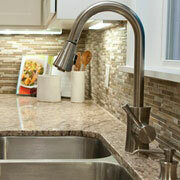 Sink faucets can also be maximized for utility and not just style. At ProSource, we combine both utility and style to give your client options they’ll love. Choose from our beverage, pot-filler, pull-down, and standard styles to give your client the kitchen faucet that works best for them.